Southwest Solutions is a nationally recognized leader in the planning and implementing of a comprehensive and innovative neighborhood revitalization strategy. This strategy involves rehabilitating buildings to provide hundreds of affordable and supportive housing units, eliminating blight, building new construction, promoting homeownership, and creating and leasing space for commercial, cultural and community use. Southwest Solutions is a recognized leader in affordable housing. 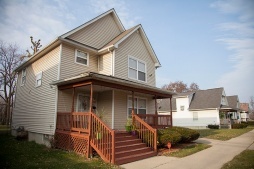 We are the leading developer of multifamily housing in southwest Detroit. These units are managed by an experienced and bilingual team of certified specialists familiar with all aspects of property management, compliance, reporting, and resident services. Our team is committed to improving the quality of life of all our tenants. Veritable Group, Inc. is a Detroit-based commercial real estate firm providing brokerage services and real estate consulting services to private and public companies, and non-profit organizations. Veritable Group is affiliated with Southwest Solutions. Our Neighborhood Preservation Team is actively engaged in the revitalization of southwest Detroit through strategic initiatives to build sustainable neighborhoods that are vibrant and diverse. The Vista Partnership is an alliance of engaged stakeholders — community residents, organizations, resource partners, public sector partners and businesses — whose mission is to accelerate the revitalization of a 20-block area in southwest Detroit with a focus on economic opportunity, social equity and, most importantly, resident planning and partnership.